Local councillors what can we do for you ? 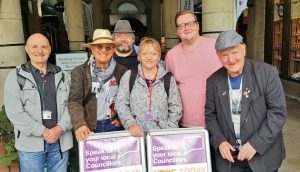 This coming Saturday morning (24th November) in the Glossop Market Arcade from 10 am until 11.30am will see this months and the last of this year’s Glossopdale Labour Councillors Shoppers Surgery. Available at the Councillors shoppers surgery will be High Peak Borough Councillors Graham Oakley who represent Whitfield, Godfrey Claff and Damien Greenhalgh from Howard Town, Nick Longos from Padfield, Bob Mckeown from Hadfield South, Anthony Mckeown from Gamesley and County Councillor Becki Woods who represents Etherow. 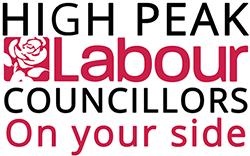 If you can’t attend on Saturday, please remember that Councillors are not just available at surgeries, and you can find more ways to get in touch with your local Labour Councillor by clicking here. Alternatively, for all other borough Councillors you can get the details on the borough council’s website at http://www.highpeak.gov.uk/, and for county Councillors at http://www.derbyshire.gov.uk. If you are not sure whether it’s something your local councillor can help with please have a look at our ‘local councillors what can we do for you’ page by clicking here. If you cannot make this Saturday, we’re back again, as usual, same time, same place on the last Saturday of January for our first shopper’s surgery of the new year.